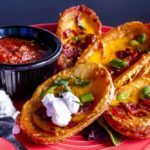 This was my kid’s favorite lunch this year, not only did we have Air Fryer Potato Skins, we also had Air Fryer Mozzarella Sticks, it was like an appetizer day. 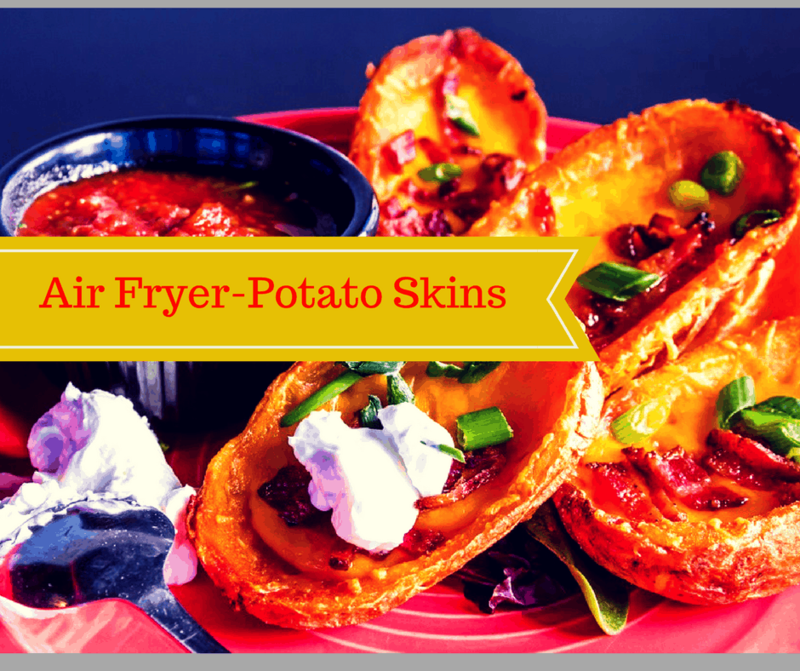 And, who doesn’t love appetizers? 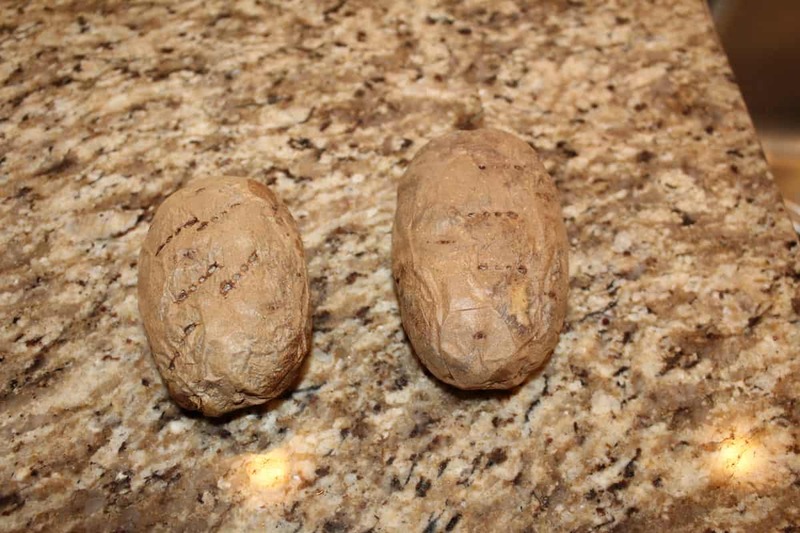 Start with cooked baked potatoes, here are the instructions. 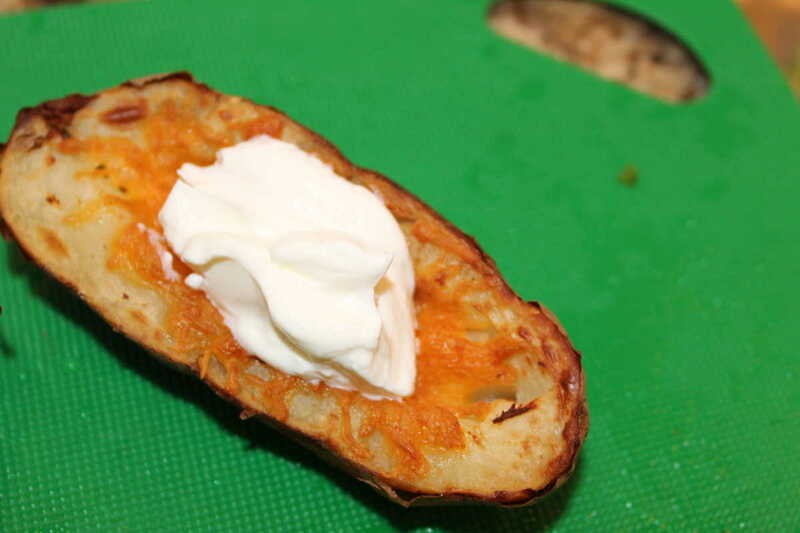 Cut the potatoes in half and then scoop out most of the filling, just leaving a thin layer. 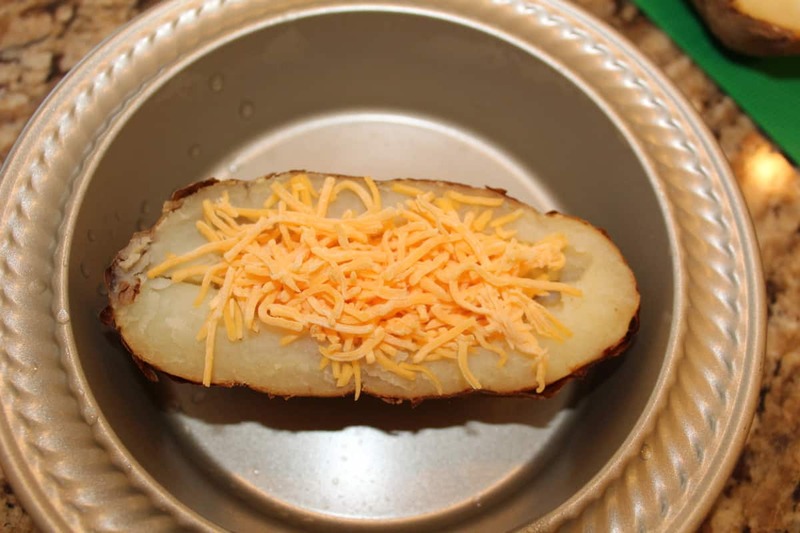 Then put a layer of cheese (my son calls it a mound of cheese) on to the scooped out baked potato, and place it on an air fryer safe pan. This was my 12-year-old sons, he was really impressed with himself. Start with cooked potatoes, they instructions are in with the pictures. 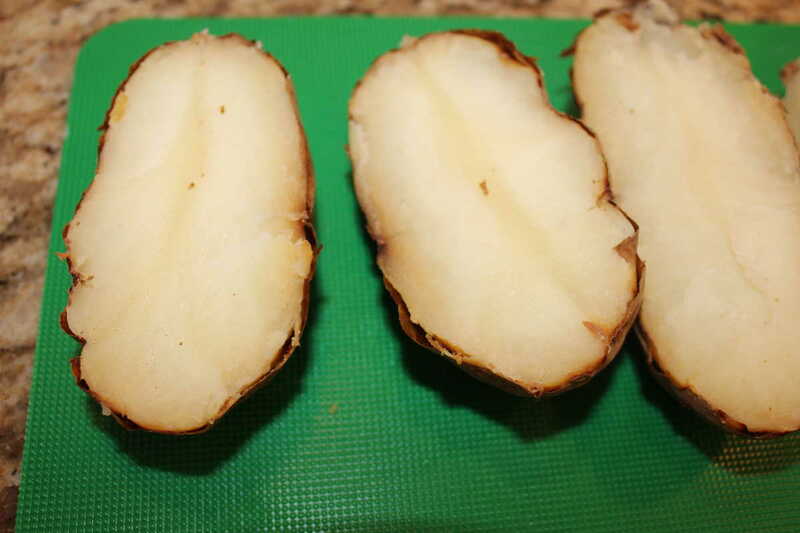 After you have cooked potatoes, let them cool down a bit, as you will need to hold them and cut them in half. Scoop out most of the potato, leaving just enough for the potato to hold the shape. 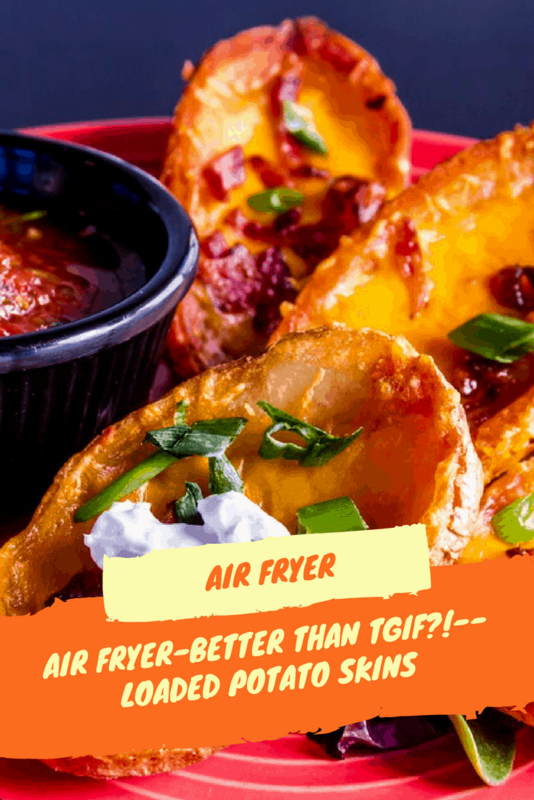 Then place it back on an air fryer safe pan, and add some cheese, bake for 4 minutes, just long enough for the cheese to melt, at 320 degrees F.
If the cheese isn't melted, add another 2 minutes. 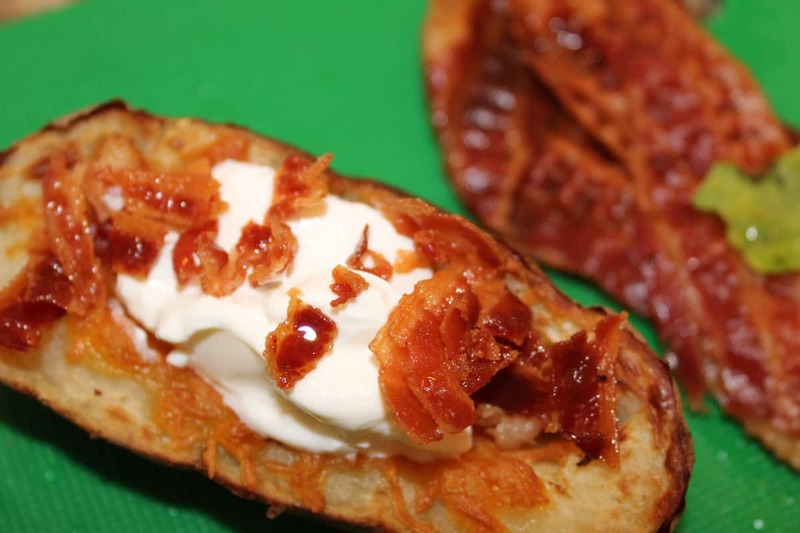 Then garnish with sour cream, cheddar cheese, bacon bits, green onions, salsa, etc.